Let’s Push The Envelope…Introducing The New Envelope Punch Board! Hang tight.. I have something new to share with you! I am really digging this new Envelope Punch Board! Supahhh cool new tool! I will resume with Halloween projects tomorrow – I really wanted to show you the nitty gritty on this punch board. 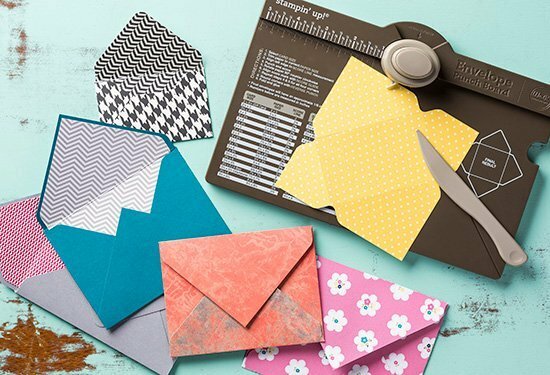 Did you know you can make 66 different sizes of envelopes? But wait.. there is more! Want some more details? Here is a PDF file for you to check out – just click here! I really love mine and I’m sure you will too! You can grab this new tool in my online store, which is open 24/7. Just click on the “Lets Shop” button to your upper right corner here on my blog! It is Item # 133774 and its only $29.95! Thanks again for stopping by today! I hope you have had a wonderful holiday weekend! Today is “pool closing” day for me. It is a bittersweet job – this means fall is here, the Inn slows down, my checkbook cries, and my body says.. yay, you get a beak to stamp more now!